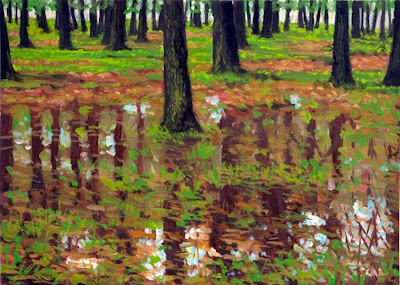 Todays painting is a landscape of a flooded Chandler Park near our house. 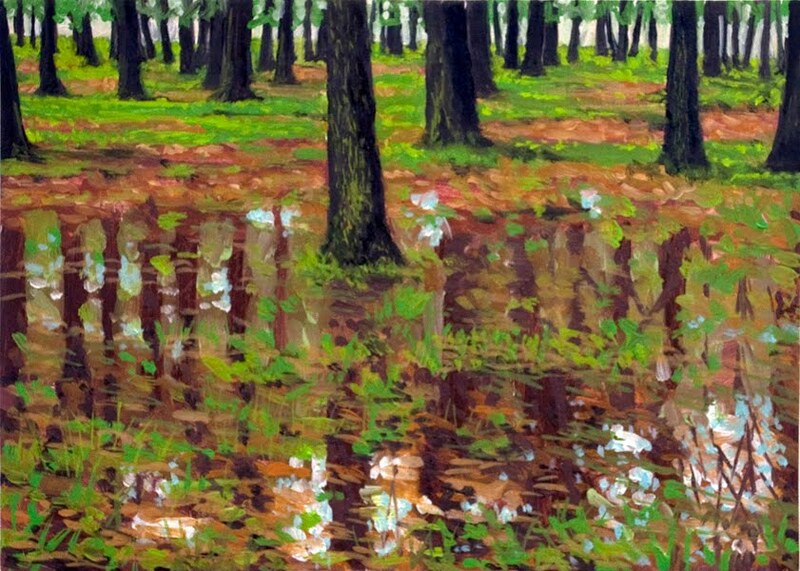 We got a lot of rain over the past few days and the ground is saturated. The rain has also greened everything up to the point that almost doesn't look natural. I love Chandler Park, it has open fields, wooded areas and even a hill for sledding or rolling down in the summer.